In fact, Solar powered water heaters are one of the most common household appliances, because they provide necessary supplements for any family, solar energy is a very magical thing. By adding solar water heaters to your home, you can reduce utility costs, save money and reduce your carbon footprint – what’s not lovely? Although most of these systems will bring more complexity to your home, they will help reduce fossil fuels, but use solar energy directly. In order to reduce energy costs, they can provide some tips and techniques for your water heater. Solar water heaters work in roughly the same way as greenhouses. Sunlight passes through glass-plated front panels into solar collectors. where dark material absorbs sunlight and generates heat. Collectors are insulated to keep heat in. Heat exchangers or simple copper tubes transfer heat to the water flowing through the collector. This process is repeated over and over again, heating water as the sun rises. All sunlight-heated water is gathered in an insulated storage tank to keep it warm for future use. Solar hot water (also known as solar hot water) is a good solution to reduce the cost of heating water for households or businesses. With solar water heating system. you can use solar energy to reduce the dependence on traditional heat sources (such as oil, electricity and natural gas). so about get rich and friendly energy – the sun! The payback period for solar hot water systems depends on how you heat water at present. For example, the payback period for solar hot water systems replacing natural gas will be longer than that for electricity or gasoline.because natural gas is a cheap fuel. If you install a solar hot water system on the roof, you can get a considerable annual return, depending on your water consumption and previous water heating methods. 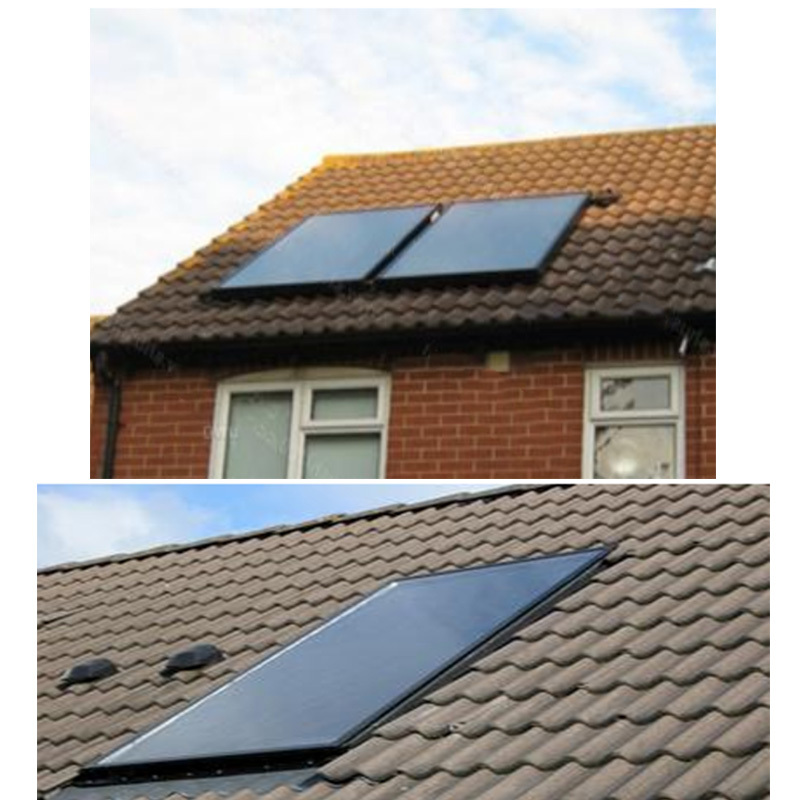 Also, the use of solar hot water systems can reduce your emissions and the impact of your home on the environment. Solar space heater uses solar energy to heat your home. Although like solar hot water, these systems usually need more collectors (hence, more roof space) and larger storage units to do their work. Thermal energy is used in solar collectors to heat liquids or air and then circulate to distribute heat. Like solar water heating systems, there are passive and active solar space heaters. Passive systems work like greenhouses – collectors collect energy and generate heat that is captured and recycled. Active solar space heaters use pumps and other mechanisms to circulate heat. Solar space heaters can reduce heating costs by up to 70%. But, most building codes require standby heating systems, so your solar space heater should be integrated with existing heating systems. Like solar water heaters, solar space heaters are more cost-effective if they replace expensive heating fuels and if you live in an area where the system can be used to heat your home all year round. Like solar photovoltaic panels, solar space heaters are very durable, with an average service life of 20 years. What are the types of solar water heater collectors? There are three different solar collectors that can be used to heat water in solar hot water systems. They are batch collectors, flat plate collectors and vacuum tube collectors. Each approach applies to specific use cases, which is why it is important to understand them before choosing them. What are the water cycle types of solar water heaters? There are two different types of circulation systems used to guide water through solar water heaters – passive and active. The simple difference between the two is that passive use does not have a pump to move water, and activity does. But, there are some bigger differences in how to set up the system, which is important for anyone considering installing the system. The active circulation system pumps water between your home, solar collector and storage tank. Electric pumps move water between different locations and shut down when it is not necessary to move water. The system is simple and straightforward, and you can set the collector and storage tank in any configuration you like without worrying about location. The construction of passive circulation system is a bit complicated. This is because the storage tank of the system must be above the collector of heated water. The system relies on the heat generated to rise into the water tank, forming a cycle, inhaling new cold water. Although there are only two different circulation systems, each of them can be designed to work or . The indirect system heats the antifreeze solution in the closed loop, and then uses a heat exchanger to transfer heat from the closed loop to the water. The direct system pumps water through the system and heats it. Although more efficient, it can not be used under any circumstances. For example, if the direct system freezes outdoors for too long, it freezes. 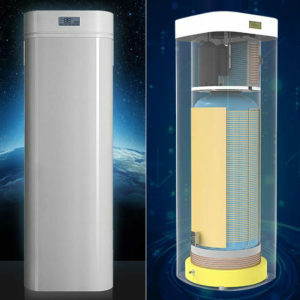 Using the same refrigerant process as air source heat pump, heat pump water heater can effectively use the ambient air at home to heat water. Heat pumps save carbon emissions. in contrast to burning oil, gas, LPG or biomass, a setup produces no carbon emissions on air (and no carbon emissions the least bit, if a renewable supply of electricity is employed to power them)build water heater. Heat pumps save engery. There aren’t any fuel storage necessities. Heat pumps ar safe. there’s no combustion concerned and no emission of doubtless dangerous gases. No flues ar needed. Heat pumps need less maintenance than combustion based mostly heating systems. Heat pumps will give cooling in summer, still as heating in winter. All water heaters and solar storage tanks need to be flushed once a year. Pumps and valves in active systems are electromechanical devices that need regular attention. Annual stress tests can identify potential problems before they become major leaks. Long-term corrosion is a problem in any pipeline system, but a well-maintained system can be used for 45 years or more before major components are replaced.